September 12 – Kyrgyzstan became the third Asian federation to launch its Live Streaming Platform during a recent friendly match against the Philippines. This follows the launch of the video platform in Bhutan and Oman. 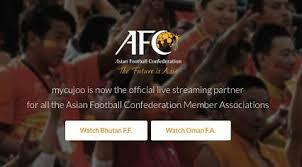 Made possible as part of the AFC President’s Initiatives Programme, the platform is facilitated by video streaming specialists Mycujoo who advise on equipment, software, technology and onsite training/workshops. The FFKR has said it wants to take the project further with multi cameras and High Definition (HD) options. The game against the Philippines had more than 8,000 visits to the platform and was promoted via the federation’s Facebook page and other social media channels. The next match to be live-streamed will be the Kyrgyzstan Cup 2016 final between Dordoi FC and Alay FC on September 18. Kyrgyzstan is undergoing a rapid upgrade of its governing activities and the streaming event co-incided with a Club Licensing Workshop for the top league clubs and several potential sides from the first division to introduce the Football League of Kyrgyzstan (FLK) Level Club Licensing Regulations (2017) and AFC Cup Club Licensing (2018). The FLK is aiming to implement more criteria for the 2018 season and plans to have a minimum of eight licensed clubs for the 2017 season, among other targets. It’s objective is to help clubs become more professional with help from the AFC League Development Programme.